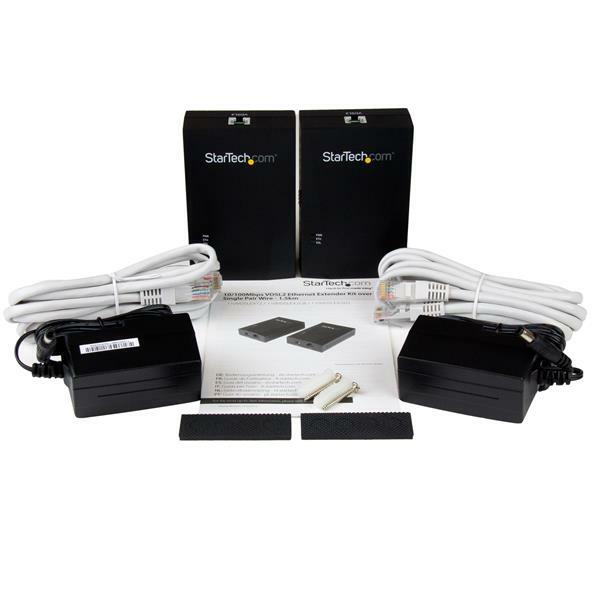 The StarTech.com VDSL2 Ethernet extender kit lets you connect a remote network segment or device to your network, using RJ11 phone cable. The network extender is a simple, reliable, and cost-effective solution for spanning your network across long distances. 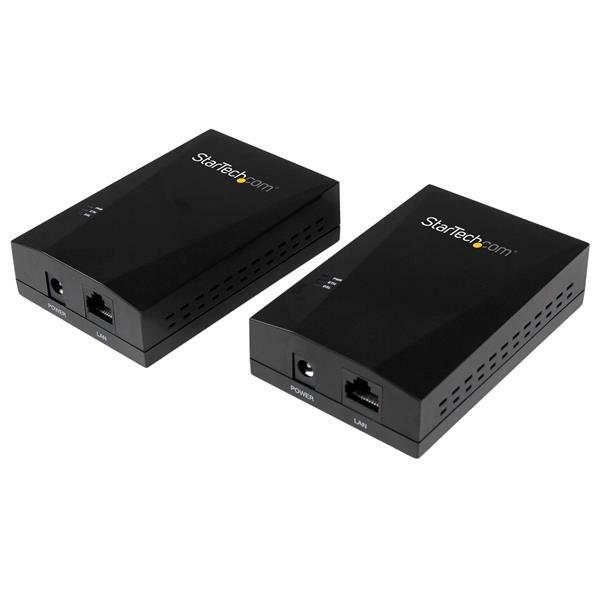 While maintaining high speeds, the extender also safeguards your investments by providing surge and ESD protection to your connected device. 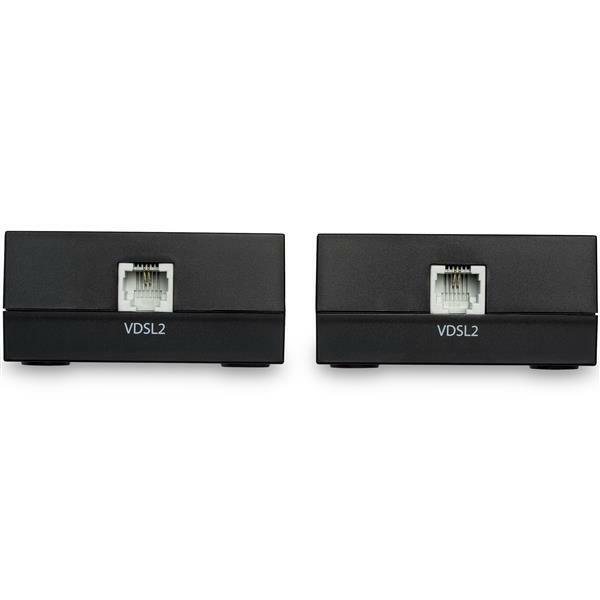 The VDSL2 extender reduces the hassle of networking your devices or workstations by overcoming the 330ft (100m) distance limitations of common CATx Ethernet cable. 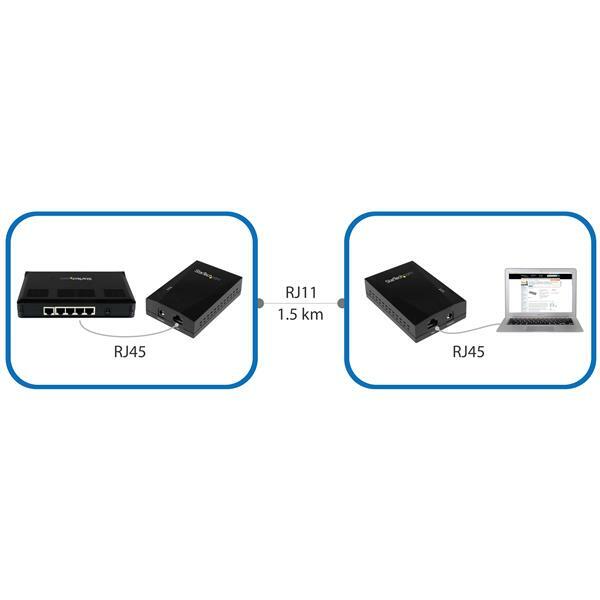 Now you can connect equipment at longer distances using existing RJ11 cable while still retaining 10/100Mbps fast-Ethernet speeds. Perfect for connecting isolated terminals, kiosks, or server rooms using single pair copper wire such as telephone cable, the extender kit lets you transmit and receive data at distances up to 5000ft (1500m) at 17Mbps, or 1000ft (300m) at 100Mbps throughput. This handy extender helps you network separate buildings at the same location, and saves you money. Using legacy plain old telephone service (POTS), you can deliver network access across an existing phone line infrastructure, which is perfect for older buildings. 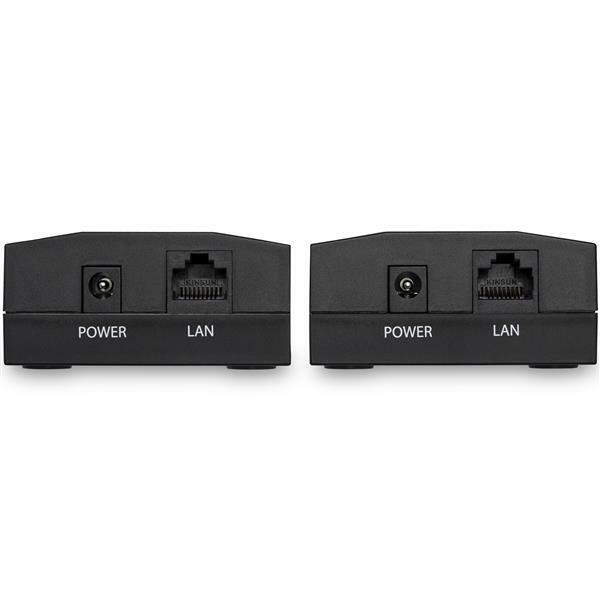 Alternatively, you can couple the extender with a single point-to-point RJ11 cable, giving you more options for providing network connections in situations where standard CATx wired or wireless access is unavailable or unreliable. A true out-of-the-box solution, the extender kit includes interchangeable transmitter and receiver units that are completely customizable using the integrated DIP switches. Setup is fast and you can be up and running with no software or driver installation required. 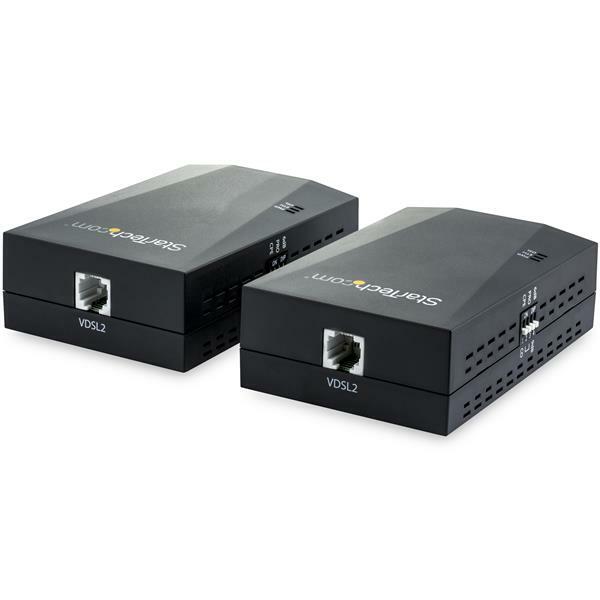 The 110VDSLEXT2 also features compact housing that’s perfect for desktop or wall-mount applications, and is backed by a StarTech.com 2-year warranty and free lifetime technical support. When you troubleshoot issues with a VDSL Extender, there are some quick tests that you can complete to rule out potential problems. To identify what the source of the issue is, observe the power LED, LAN LED, and VDSL LED on the units. Use the cables, VDSL extender, and network devices in another setup to see if the problem is with the components or the setup. Use different cables, a different VDSL extender, and network devices in your setup to see if the problem persists. Ideally, you should test components that you know work in another setup. DIP switch one (CO/CPE) is opposite on both units. It does not matter which unit is set to CO or CPE. DIP switches two to four are identical on both local and remote units. By default, DIP switches two to four are set to Off (the switch is pointing up). Modify the Signal to Noise Ratio (SNR) by changing switch four on both units. Modify the operation mode of the unit by changing switch two or three so that they match on both units. Use two computer systems directly connected to the VDSL extender LAN ports. I installed this device at least two yrs ago at a customer's location to reduce costs and enhance user experience. It was used to connect primary network bldg to secondary detached bldg using one pair of an unused 12 pair buried telco cable. It connects to a PoE switch wan port supporting VPN terminal, 2 IP phones, & IP printer. I am very happy with the service overall. Great sales and support team. Thanks. From Adelaide, Australia.